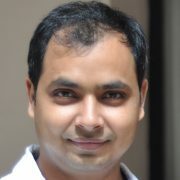 Chinmay Singh is a Senior Research Software Development Engineer at Microsoft Research Lab in New York City. He received B. Tech. in Computer Science and Engineering from Indian Institute of Technology Kharagpur in 2005. He was part of MSN Prime release in India and Windows 10 launch in Canada prior to joining Microsoft Research. He is working on multiple research projects with the Computational Social Science group at MSR NYC and interfaces with products teams across Microsoft Office and Bing.